This cottage cheese dessert falls somewhere between a thick pudding and ice cream. Depending on your preference, you can either keep some of the curds in the cottage cheese for more texture, or blend them. Combine all ingredients, adding just enough water to make batter smooth. Refrigerate or place in the freezer for a few minutes to chill. 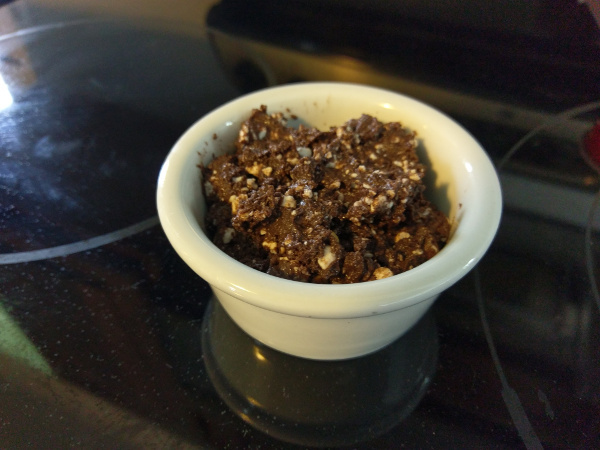 Photo is shown with chocolate Ultimate Muscle Protein and unblended cottage cheese.